Chapter 11 bankruptcy differs from Chapter 7 and Chapter 13 in that businesses file for it as opposed to individuals. 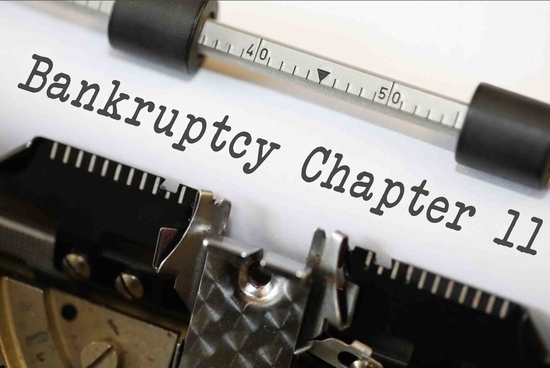 Chapter 11 bankruptcies often make headlines when filed by major corporations including General Motors, United Airlines, Lehman Brothers and more. Chapter 11 bankruptcies have the same basic goal as Chapter 7 and 11 bankruptcies: providing a fresh start to the debtor. Chapter 11 is where you want to keep a business ongoing, or if you’re an individual with a large amount of of nonexempt debts and property. No trustee is usually appointed in a Chapter 11 bankruptcy; instead the debtor continues operating their business as normally as possible. However, the debtor loses control over many major decisions to the bankruptcy court. The bankruptcy court must approve or deny such actions including any asset sale, entering into or breaking leases, expanding or shutting down business operations and more. Creditors, shareholders and other interested parties can support or oppose these actions but it’s ultimately the court’s decision. The debtor has, in most circumstances, a fourth month “exclusivity period” after filing for Chapter 11 bankruptcy to propose its own reorganization plan. Once that period expires, other parties can propose their own organization plan for the debtor. A reorganization plan allows the debtor to restructure its finances; allowing the debtor to show their creditors how they plan on operating and paying their bills in the future. Most of these plans involving downsizing operations and other expenses to reduce costs and release assets. The court must confirm any reorganization plan. The court determines the plan’s feasibility and good faith, as well as whether the plan is fair and equitable and made in the best interests of the creditors. “Feasible” means the plan is likely to succeed. The court also defines “best interests of the creditors” as meaning the creditors receive as much repayment under the Chapter 11 plan as they would in a Chapter 7 liquidation. “Fair and equitable” means secured creditors must be paid over time at least the value of their collateral, and the debtor’s owners may not retain anything on account of their equity interests unless all obligations are paid in full. Part of filing a repayment plan involves sending ballots to anyone listed as a creditor, who then votes to approve or disapprove of the plan. She said most disagreements between creditors and debtors can be resolved without filing a competing plan. Bret A. Maidman with Nolo.com wrote that 10 to 15% of Chapter 11 bankruptcy cases result in successful reorganizations. Most cases are either dismissed following an agreement of all parties involved, or converted to Chapter 7 cases where the company’s assets are sold off en masse to repay creditors. Bankruptcy cases vary depending on the circumstances leading up to them, and you deserve an attorney with the skills and experience to find the best solution for you. If you or your business is struggling and you need help, contact Allen Stewart, P.C. and find your path back to financial health.